I’m happy to announce that we’ve begun enrolling our first participants as beta testers of the All of Us Research Program. This is a major milestone in our progress to date, and one of many more to come for our startup research consortium that came together less than a year ago. There have been several important steps leading up to this point. Back in July of 2016, about the time I arrived at NIH, we assembled an amazing nationwide team of universities, medical centers, and technology companies to enroll participants and collect data and blood and urine samples. We’ve completed preliminary pilot studies and focus groups to learn from members of the public about their interests and questions concerning research participation. We’ve developed a research protocol, including an initial set of surveys. We’ve invested in a state-of-the-art biobank and built “big data” IT systems to transfer and store data, with safeguards in place to keep participants’ information private and secure. And we’ve reached out for feedback from dozens of organizations and issued a funding opportunity to support engagement efforts with community partners large and small. Along the way, we’ve conducted internal tests on an ongoing basis to finetune components of the program. Now we’ve embarked on our next phase, to extend testing to our first participants using the first iterations of our research protocol and technology systems—think of it as “Version 1.0” of a major software and protocol release, with future updates to come on both fronts. As with every aspect of the program, we’re starting small with enrollment and scaling up carefully as we go, beginning with one site and gradually expanding to more than 100 sites nationally during the beta phase. Our partners will begin testing on a staggered schedule through early fall, each enrolling a handful of participants a day to start, and inviting more when ready—eventually totaling at least 10,000 people across the country. Our beta testers will help us find problems with our systems and processes, so we can fix them and improve the experience for everyone going forward. And most importantly, they will help us evaluate and improve our messaging, our engagement approaches, and our relationship building with diverse communities across the country. Once testing is complete, we will take a collective pause to reassess all systems in terms of readiness to “go big,” and then kick off a national launch anticipated for late fall or early next year. At that time, we’ll spread the word far and wide so more people will be able to sign up. Ultimately, we want to build a community at least one million strong, with participants from all walks of life and parts of the country. By providing information about their health, lifestyles, and environments over the course of many decades, these volunteers will be important partners in helping create an unprecedented research resource to drive future discoveries. This resource will be easily accessible to researchers of all kinds, from citizen scientists to investigators in academia and industry, for studies on a variety of health topics. We’ve already received many questions about the program from folks, and we provide answers to a couple, below. 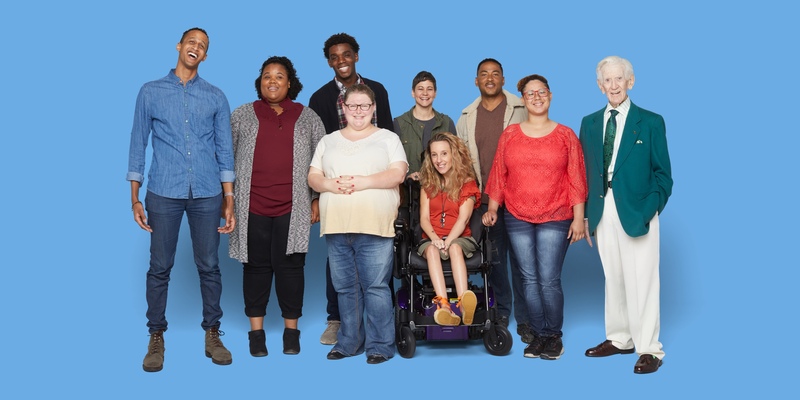 If you’d like to stay on top of All of Us developments, please consider subscribing for email updates on our website, https://www.joinallofus.org/, and following us on Facebook and Twitter @AllofUsResearch, where I’ll be sharing videos and blogs with news of our progress and plans. As excited as we are about entering this next phase of the program, we also recognize that this is just the beginning. All along, our mantra has been that we’ll “launch when ready and right.” Beta testing is a critical step to getting there. I’ll keep you posted! How can I sign up to be a beta tester for the All of Us Research Program? Thank you for your interest! We’ve been so encouraged by all the enthusiasm we’ve seen from people who want to sign up. At this time, enrollment in this research program is by invitation only as we work to bring more than 100 sites on board. We’re ramping up our beta testing phase in stages; our partner sites are launching at different times, with exact dates subject to change, and we have limits on how many volunteers we can enroll to start. If you receive care at one of our participating health care provider organizations, you may be contacted about the opportunity to enroll as a beta tester. We also will be doing beta testing with “direct volunteers” (participants who don’t receive care from participating health centers but want to enroll in this research program) in certain communities around the country. The vast majority of our participants will join after our national launch, once we’ve worked out more of the kinks. Please subscribe for our email updates at https://www.joinallofus.org/, and we’ll let you know when open enrollment begins and how you can sign up then. How can my organization get involved with the All of Us Research Program? We’ll be highlighting more ways for groups to contribute to All of Us as the project progresses, such as helping us identify emerging scientific opportunities, suggesting ways to make the program more responsive to community needs, and applying to future funding opportunities to expand our research network. If you haven’t already, you may wish to subscribe to receive updates from All of Us to get the latest news about events, funding opportunities, and other program developments. If you’re interested in funding opportunities specifically, you may also wish to sign up for weekly updates in the NIH Guide to Grants and Contracts.